Teri Sims remembers the 4th of July a few years ago when attempting to attend a local hot spot which ultimately did not fit her style; she immediately felt overdressed while others were in shorts and t-shirts and wasn’t too keen on standing in a line for entry. But thanks to the recommendation of a valet, Teri ventured up the street to Cigar City Club which she has found to be a great place to meet and socialize with professionals both in and out of the club. 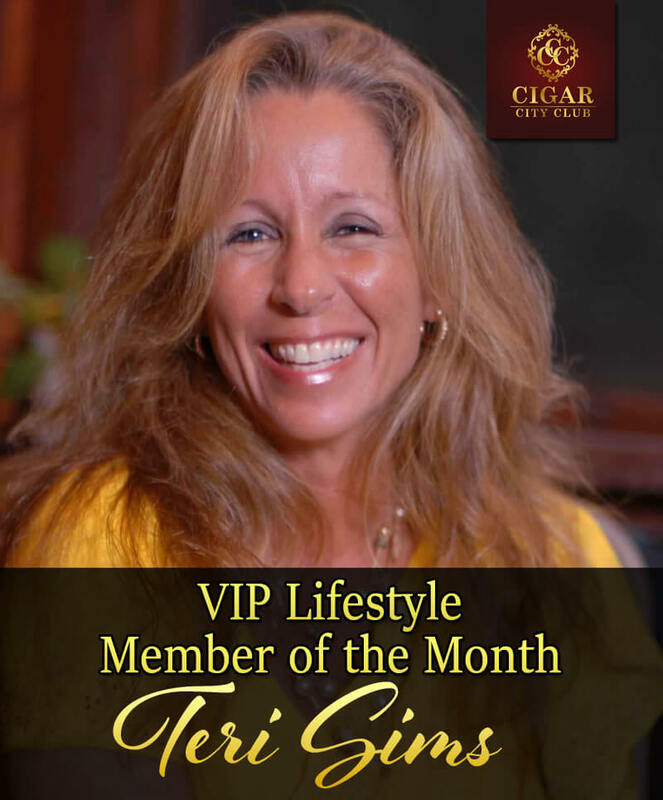 Soon after discovering CCC membership was not exclusive to avid cigar smokers, Teri applied and has since enjoyed the benefit of storing her wine in a designated locker along with having access to reserved club areas.